This newly patented design is a major advancement when it comes to problems of the spine. When you lay on our mattress you instantly feel the extra support in the lumbar region, this helps when your experiencing pain from, curvature of the spine, surgeries, degenerative or bulging disks. 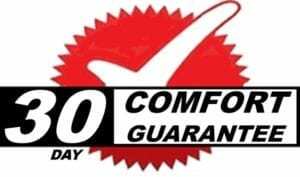 Our 30 DAY COMFORT GUARANTEE – If your new Lumbar Cool Mattress is not the most amazing mattress you thought it would be, then bring it back , we’ll let you exchange or upgrade to another comfort, one time within 30 days and that’s our promise to you. It’s a cool and luxurious soft to the touch mattress, built to last longer with a super duty coil system, amazing edge to edge support, continuous lasting foams, designed to cuddle your body in a way that let’s your body rest..
A Lumbar Cool “Gold” Tufted Mattress is more than the traditional mattress. You experience an amazing luxury comfort, as it cuddles your body with the new spinal zone technology it instantly takes the pressure off your spinal area, hips and legs as it crosses over the mattress from edge to edge over the foams and coils which prevents sag in the middle so you and your partner can won’t worry about rolling into the middle of the mattress which is the number one complaint most customers have today. OUR DESIGN – We design our Lumbar Cool tufted mattresses with the highest quality foams on the market today. Foams are interlace and fully compressed and hand tufted and tied by a skilled craftsman to pull the foams really tight so friction caused from movement over the years wearing out too fast. SHOULDERS AND FEET – By using a softer foam at the top and bottom it gives the shoulders and feet a more relaxing sensation as we have noticed many of our friends suffer aches, pains, tingling, swelling and inflammation due to many symptoms that keep them from getting a complete nights rest. The coil sleep system is the very best, stronger than ever made of solid tempered 13 Gage steel built stronger to offer our heavy built friends a better mattress with amazing comfort and that will last longer than conventional mattresses on the market today. We offer a better choice to have the best quality of life. When you combine our Lumbar Cool tufted mattress with the Lumbar Cool motion adjustable bed. you’ll have a much better experience when dealing with symptoms of insomnia, troubles with breathing due to sleep apnea, heart, copd, chronic pain, numbness, tingling and inflammation just by raising your head in the up position helps you to increase more oxygen into the body for a deeper sleep which helps with recovery. Blood flow is increased by taking the pressure off your nerves by raising your feet above your heart will help balance blood pressure issues. RAISE YOUR HEAD UP – Helps your neck, lungs and lumbar to instantly take pressure off hot spots. Pain decreases right away when in that perfect position. RAISE YOUR LEGS UP – When at zero gravity your feet and legs will instantly feel more relaxed so pain or discomfort from many types of leg syndromes, like the burning and tingling sensation from neuropathy and inflammation. HOW CAN I SLEEP AND FEEL BEAUTIFUL AGAIN? – Our bodies change from day to day based on our lifestyles, did we over do it? Is my diet upside down? Am I retaining fluids. Too much salt maybe? who knows but what we do know is by having the option to change our mattresses comfort level, or having the option to re-position ourselves with an adjustable bed gives us the opportunity to encourage our bodies to sleep better,means to feel better and the more we’re able to manage our sleep, helps us to get into much deeper sleep which is so necessary in getting the healing process to start working better and and thus, a better opportunity for better health. 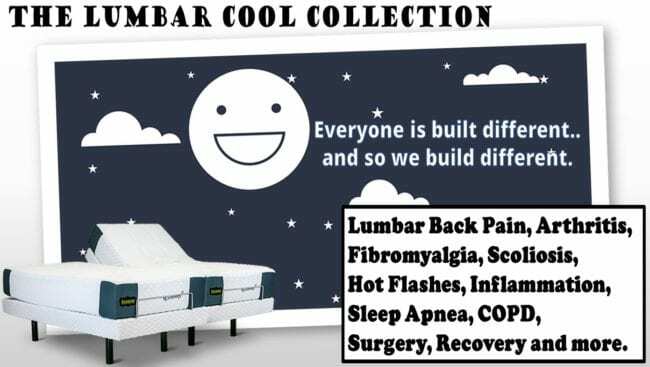 WE CARE A LOT ABOUT OUR CUSTOMERS – We listen to our friends and will work hard to custom fit you with a more personal level of comfort, Visit our showroom to see our exclusive line of Lumbar Cool Mattress is many comfort levels that offer you the maximum sleep. 1. HAND TUFTING LAST LONGER – Hand tufting compresses foam and springs tighter which prevents products inside from moving, reducing friction caused from movement so the mattress will last longer than the other mattresses. 2. FOAMS WON’T BREAK DOWN – All the foams are compressed which eliminates the mattress from sinking in the middle causing you or your partner from rolling into the middle. Eliminates the break in process. Foams hold their comfort longer than conventional mattresses. 3. TEMPERATURE NEUTRAL – We use the very best fabrics on the market. Soft to the touch and breathable fabric are designed to keep you more comfortable at all times and helps moderate temperature as our bodies build up heat the fabrics are designed to dissipate the heat and wick it away. Natural and anti-microbial and resistant to moisture. 4. 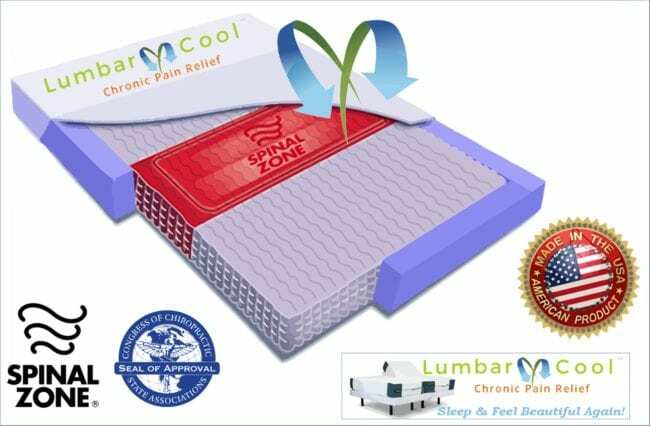 LUMBAR COOL / SPINAL ZONE TECHNOLOGY – This amazingly newly technology is a major advancement when it comes to helping the spine reach optimal comfort. as It crosses the bed, edge to edge it provides amazing posture alignment. When you lay down your lumbar feels the difference, your body relaxes much faster and no matter how you sleep, back, stomach or side it offers you a better sleeping experience. 5. ENHANCED SHOULDER AREA – We’ve designed the shoulder area a little softer with more pressure less foam to help neck, arms and shoulders to relax better and to reduce numbness and tingling in the upper body. 6. ENHANCED LEG / FOOT AREA – We’ve also designed the lower body area with a softer more pressure less foam as well to help reduce the stress on hips, legs and feet, many of our friends experience problems with the Legs along with neuropathy and has been a growing concern so we look for more ways to help relax those areas better. 7. SUPER DUTY COIL SYSTEM – We offer the very best, state of the art support the tufted mattress is built with over 900+ pocketed coils, it’s a super-duty coil system and is stronger support system than most mattresses on the market. 100% MADE IN AMERICA TEMPERED STEEL” a thicker 13 Gage tempered steel from edge to edge is very strong support for my heavy built friends. 8. BREATHABLE FABRIC – The beautifully crafted fabrics have a luxurious look and feel. Cool to the touch with 400% more airflow to help dissipate heat around your body. Heat won’t build up making you toss and turn thru the night. We use fabrics that moderate temperature and hep to dissipate the heat along with wicking away any moisture. 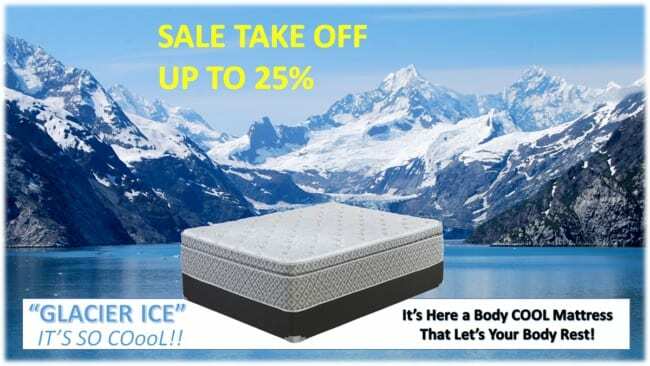 Your body will enjoy sleeping on a Lumbar Cool Mattress. 9. CHRONIC PAIN RELIEF – “Our friends are built different, so we build different”. We offer the most relaxing comfort levels to help aide in the relief of chronic body pain that keeps you from getting a better nights rest. 9. CHRONIC PAIN RELIEF – “Everyone is built different, so we build different” Let us help you find a better solution to sleep better. 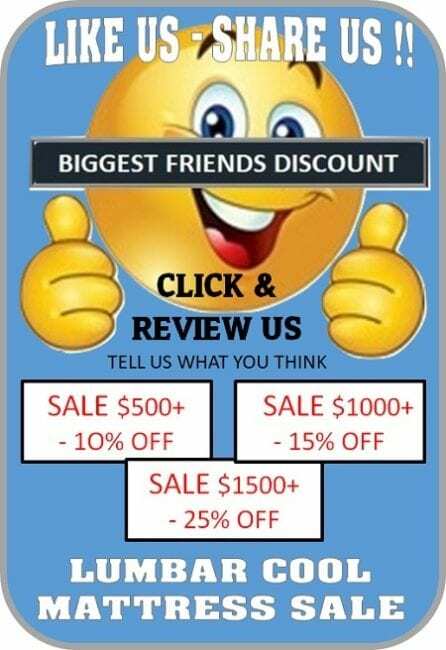 Mr.Jimmy has more than 30 years in the business and will provide you with the most the experience of choosing the right mattress at the right price and will offer you many ways to help you afford your new Lumbar Cool Mattress. 10. 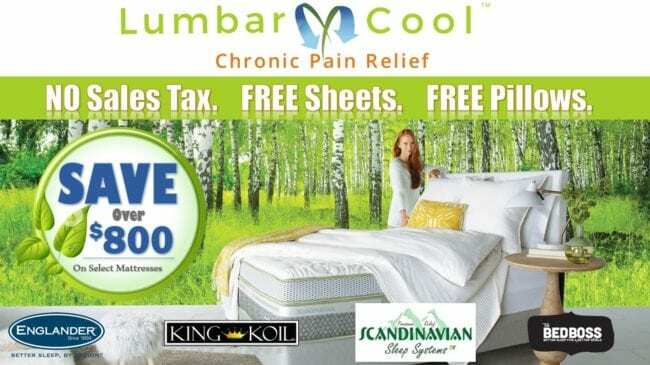 COMFORT GUARANTEE / WARRANTY – If your new Lumbar Cool Mattress is not the most amazing mattress then bring it back and we’ll let you upgrade to another comfort one time within 30 days. The Evolution Hybrid NXT is truly the next generation in hybrid technology. From the incredible feel of the quilted hybrid with phase change technology, to the edge to edge 5-zoned support of the EvoWC5 wrapped coil system and perfectly engineered combinations of copper-infused latex and memory foam, the Evolution Hybrid NXT sets the new standard. We have the experience you need and trust. We take pride in what we do, the products we carry and the families that have been the cornerstone for our success. We take the pain out of shopping a new mattress for your home. We match you up with the right comfort level and with the proper mattress to help you rest better thru the night. We talk to you about any special troubles keeping you from sleeping or pain you may be experiencing. 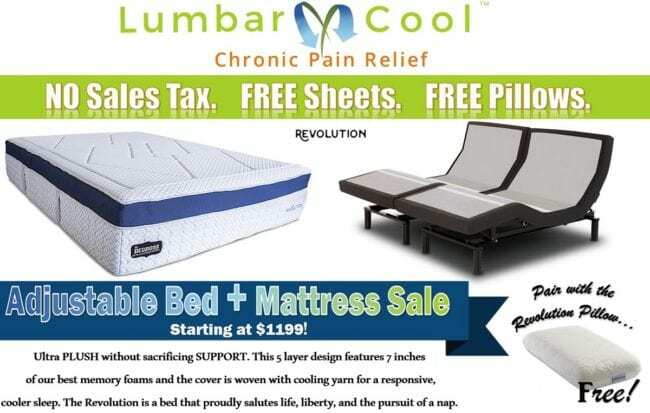 Our lumbar cool collection mattresses will let your body rest to help you heal better and you won’t overpay for any of it. When I lay on this mattress, it feels very cool to the touch but it doesn’t make me feel cold. It pockets my body in a way that is so comfortable under my lower back. As I lay on my side it feels soft and doesn’t put any pressure on my shoulders or hips. I think this mattress will help anyone that tosses and turns a lot. 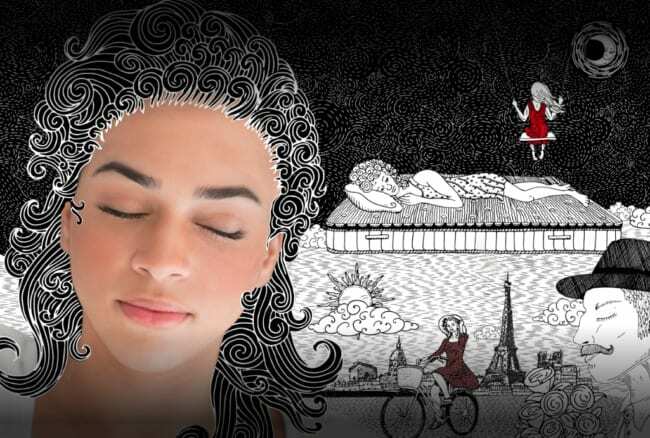 The new revelation in sleep is here and it’s become one of the best selling mattresses. It’s a Hybrid with the most amazing cool to the touch fabric all around. 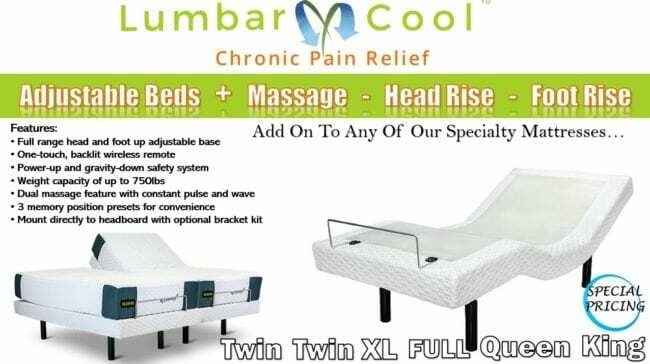 Ideal for Hot Flashes, Hot Sleepers, Chronic Pain and best of all it’s really comfortable. Coolest Cover – It’s the highest performing fabric cover that’s lightweight, breathable and infused with cool gel to pull the heat away from your body. 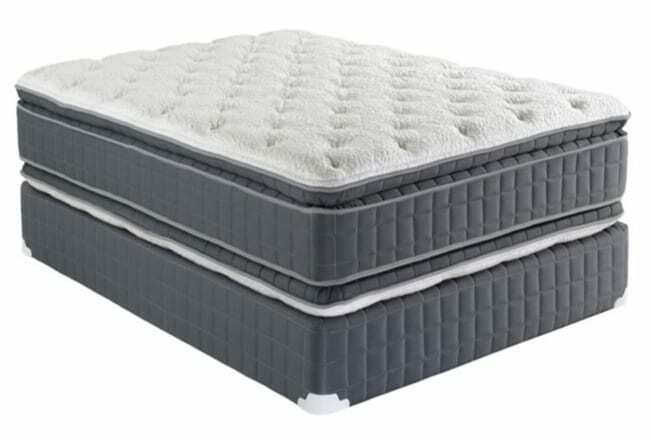 True plush firm comfort as each layer offers the best feeling of foams that helps to relieve achy muscle pain. A base foam that has the most support in a memory foam mattress. Soak into and firm up which give you the perfect base to get into and out of bed. Shake up the status quo. When it comes to soft beds, not all mattresses are created equal. Innovative, indulgent, and uncompromising, the Revolution by The Bed Boss has a decidedly American style that’s ultra plush without sacrificing support. This 5 layer design features 7 inches of our best memory foams and the cover is woven with state-of-the-art cooling yarn for responsive, cooler sleep. The Revolution is a bed that proudly salutes life, liberty, and the pursuit of a nap. When I lay on this mattress, it feels kinda simple and yet the support is amazing. I can see how this would be good for my heavy built friends. The factory made this design to be the coolest sleeping mattress on the market to help with hot sleepers, hot flashes even fibromyalgia, so as I make my review by sitting on the edge I can actually feel the air flowing thru the mattress just with my hand over the side. The fabric is really nice, soft feeling and has a noticeable coolness to it, “even in a hot warehouse”. I give this a thumbs up for hot sleepers that like a firm mattress. 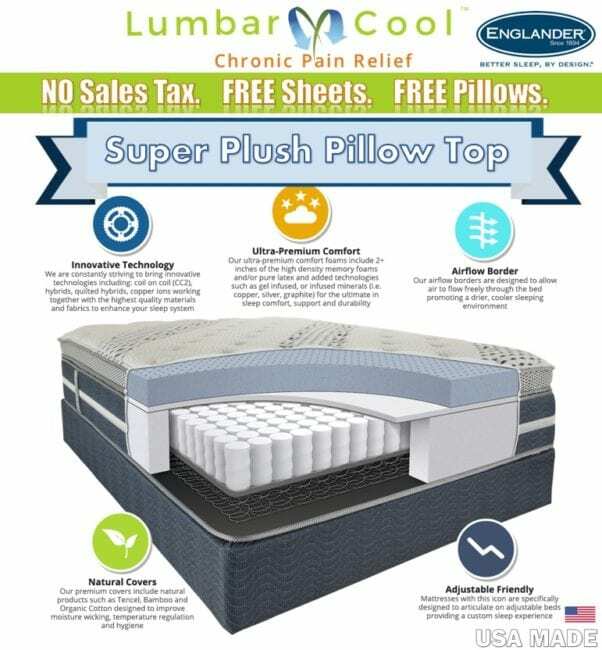 Thermo Balance Luxury Plush, Temperature Regulating, maximum 400% increased airflow border, Talalay Latex, Super Soft Memory Gel, Super Hybrid technologies all in one. Seniors #1 Mattress, When your on a budget! I literally jumped on this mattress and couldn’t move. This mattress feels so cozy I’m afraid I might not make it into work tomorrow. The mattress is jumbo thick and feels so super soft, kinda like sleeping on a cloud. When my daughters laid on it all they could say was “I’m so in love with this mattress!” I give this a thumbs up for super soft comfort, truly nice support and it’s so affordable. 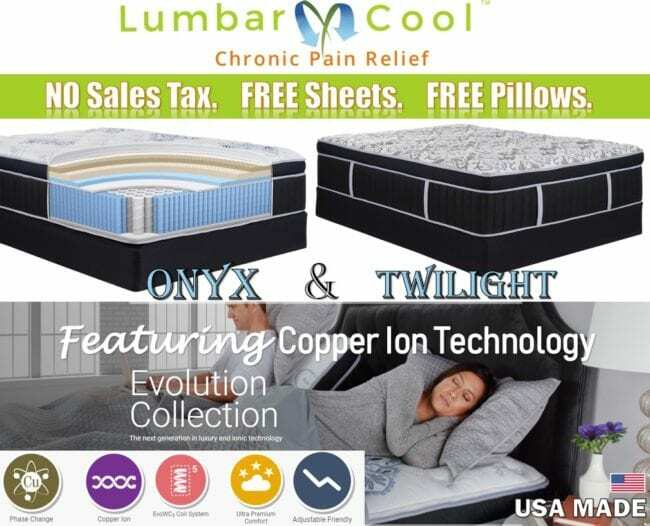 Ultimate Luxury Sleep Comfort, Tencel & Bamboo Cover, Talalay Latex, Legendary Copper Pain Relief Technology. Temperature Regulating. Next to the new Scandinavian mattress- this one is jaw dropping amazing. When I laid on this mattress it was an experience in itself. First of all let me say this is a market crusher, no other mattress in 25 years has ever made me feel so amazing. Seriously after a triple bypass as well as joint pain over the years, this mattress has the most incredible comfort level. No sales pitch here. The support is overwhelming, the coils are built-tough by way of a dual coil system. With pocketed coils on top of an innerspring, offering the very best support for my heavy-built friends. The quality is magnificent, all of the edges are detailed, the fabric is made of two of the coolest both Tencel and Bamboo. I feel the airflow directly thru the sides of this mattress, the foams are super soft, yet firm overall support when you lay. It’s made of pure copper infused latex as it’s been said that copper minerals have been used for thousands of years aiding in so many health benefits. Like inflammation of the body, joint pain relief, better blood circulation, cooler sleeping, improves muscle recovery, balancing, headaches, joint pain. Copper is a mineral that is essential to human health. It has many health, wellness and beauty benefits. The human body doesn’t create copper on its own, so we must get it from other sources in order to receive its value. This can be done by eating foods rich in copper or using textiles and other products infused with copper. 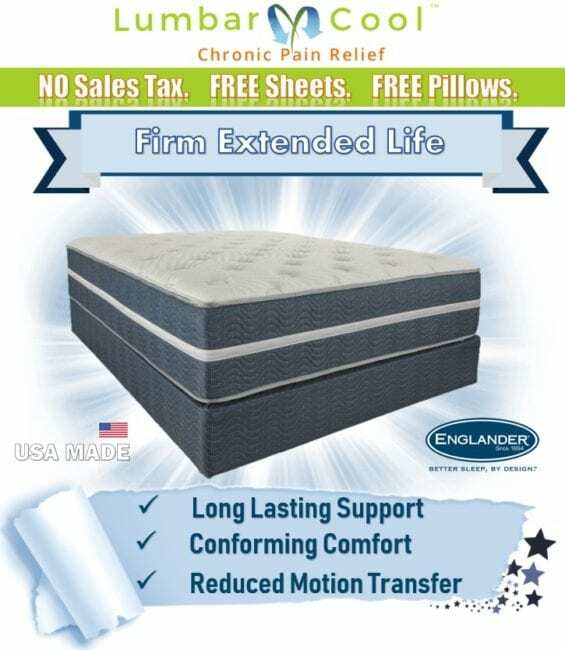 Ok so I realize money don’t grow on a tree, but it should, because I specialize in the best mattresses for chronic pain, I think how important a mattress is to the power of healing. Even though there is no mattress that can fix you, I guess I would like to differ. I have found the hardest thing to do when we are injured is to heal, and for so many medical reasons that are beyond me, my own injuries have never healed and I felt like my pain and inflammation would last forever, but as I learn more, I’m proved wrong. What I didn’t know is my muscles needed to be in a relaxed state, I have to condition myself in order to get a longer, deeper REM type sleep, this is what the doctors say is the most import way to start the healing process. The Scandinavian does just that. 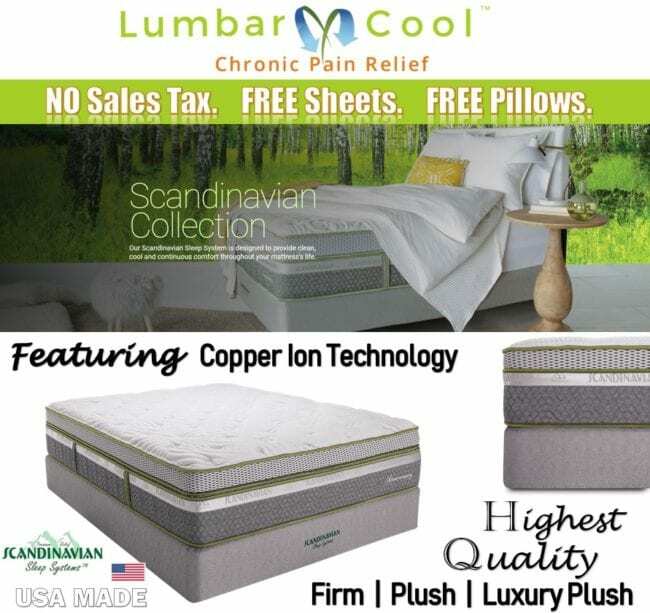 When I rest on this mattress my body soaks into multi-levels of a combination of different foams, like Super Soft foam, Memory gel foam, Talalay Latex infused “Copper”, The Scandinavian Sandmahn feels very plush and the support is luxuriously amazing. The Cool Comfort is a firmer version and is perfect when your body needs a firmer option. Not all mattresses are made the same from store to store so be cautious. When it comes to the right mattresses for pain the way each layer of foam is positioned and the type of foams are imperative. Some people may prefer a softer shoulder area to help with shoulder numbness, others may need advanced foams for the lower back lumbar region to help press up to your body to help alleviate lower back pain. All things are considered and the other mattress stores don’t personally focus on your pain but get really excited to sell you a mattress and make that money, Wahoo!! Even though it may be a good quality expensive mattress, it won’t be designed to offer you a more personal comfort to your body pain. You don’t want to exchange quality of life with a good looking mattress in the long run. The Scandinavian Sandmahn. It’s unbeatable and it’s a powerhouse compared to anything made on the market. The Scandinavian mattress is a European design that in my book is probably the number one mattress ever designed. 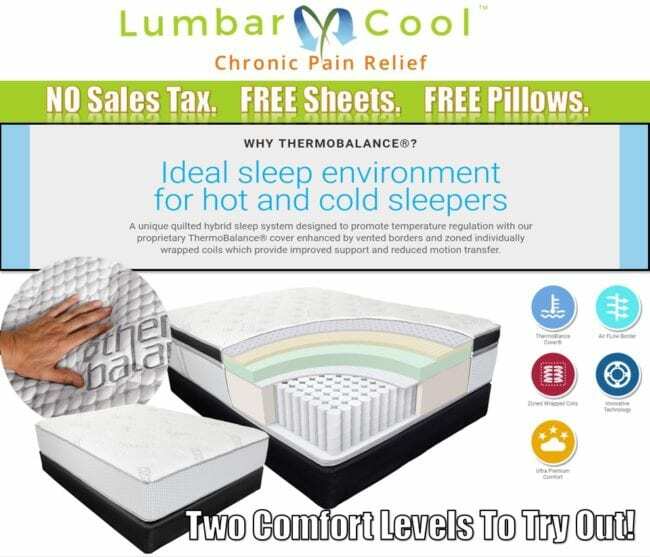 The huge difference is the price, buy it from us Wholesale Cost +10% and it includes The Lumbar Cool package and super thick pure talalay latex which neutralizes hot and cold by regulating our bodies temperature more efficiently. The “Copper” infused latex offers all the health benefits used for over ten thousand years to aide in our health and well being. I wanted a mattress for my friends that I could actually feel like they’re getting the best mattress ever for their money. So as a connoisseur, the Scandinavian is the right mattress and so I took it home in a heart beat. I can honestly say this mattress has the highest approval rating.